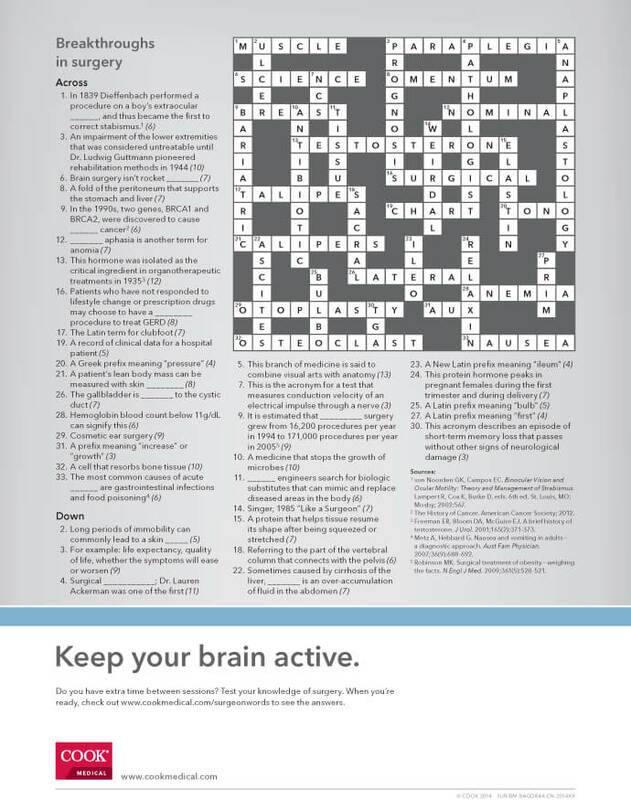 Did you solve our crossword puzzle? Check your work on this answer key. If you’re a lifelong learner (as most of you crossword-solving surgeons are), take a look at the VistaSM event schedule. You could get experience performing component separation and share stories with your fellow surgeons. Find a Vista event near you here.